Recently bought a T-Mobile AC1900 router that is really an Asus RT-AC68U under the badging, and just needs a few firmware “corrections” to get the T-mobile out of it and give you a $37.00 semi-high-end router. My firmware updates went fine. I followed the steps and got updated to the latest Merlin build – 384.6. The UI for the router admin was extremely slow. Users got kicked off once in a while. I noticed that CPU Usage of both CPUs were pegged at 95-100% constantly, and my RAM usage was stuck at 50%, which didn’t seem right either. It took some playing, but I finally found the USB Application menu, which wasn’t intuitive – because I had no USB devices plugged in, so I figured those things would automatically be disabled. Wrong. You have to go make sure things like “Enable iTunes Server” and “Enable UPnP Media Server” are turned off if you’re not using them. It’s not automatic just because nothing is attached. This doesn’t affect my regular UPnP settings – that I had to enable to use my Xbox. By the by, check the other network services linked from the USB Application page to make sure Printer Server, Time Machine, etc. are disabled if you’re not using them. Wow, that’s a lousy title. Anyway. 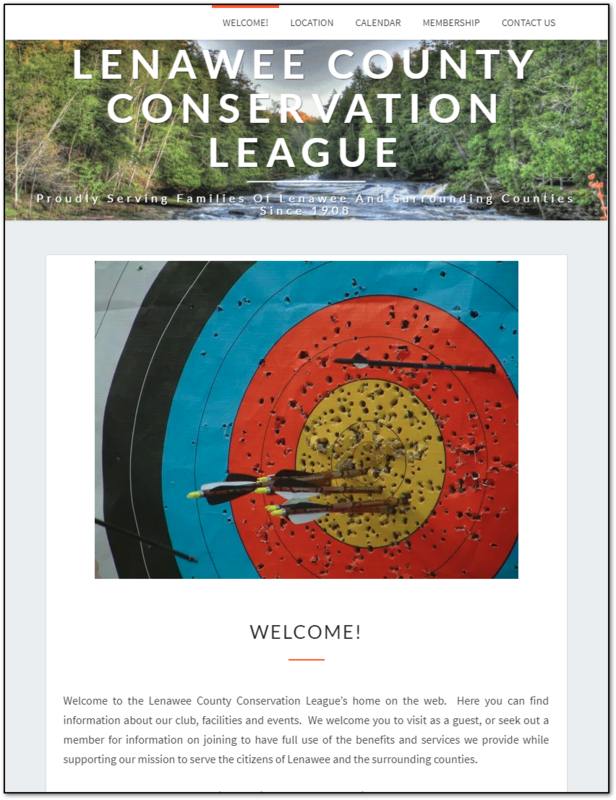 The Lenawee County Conservation League has a new web site. Fun stuff. Sometimes it’s relaxing to back down from the MS development and do things entirely differently. An organizational Google account for managing services in a way that can be passed to others easily, with options for control and forwarding of content without having to give out passwords. Domain name registrations, hosting registrations etc all tied to the org accounts. Integration of Gmail, Google Drive, Calendar, Analytics, Maps, etc. Latest of WordPress, Customizing child themes, plugins, etc. The site is pretty static – there are usually monthly newsletter/calendar updates, but lately there’ve been signup requests and photos to share in addition. I wanted an easy way to direct an email I receive with attachments to the site for publishing without having to visit it. Especially from my phone, or even automated via rules. I wanted backups – there were past issues with loss of access/control, mistaken changes, etc. I wanted modern – the site was previously an old MS Frontpage design with manual html tweaks, FTP, etc. The host was static-html only, no dbs, etc – so the host had to be replaced. I still want better content – most emails I see to the site ask about membership which is not adequately described, pricing can be complex, etc. The calendar updates come out via PDF, and I’ve copied that info to a Google Calendar that is displayed online/sharable/copyable to personal appointments, etc – but we’re not quite at the point of fully managing it via Google yet. Still working with other members on that stuff. I wanted to be able to leave it alone. Updates, security, etc should all be automatic (as much as possible). WordPress itself auto-updates now, but it looks like plugins don’t. So I want a way to get notified/automate that if possible, especially from a phone. I recently tried importing Outlook contacts to Em Client and the Em-recommended method is to export Outlook contacts to CSV, then import the CSV to Em. This failed to import them all several times. Better work-around: If you import the Outlook CSV to Gmail’s Contacts, and connect Em to your Gmail account via MAPI, the contacts sync to the client (you could disconnect it at that point if you wanted) with much better results – Categories work better, contacts aren’t skipped or imported with missing data, etc.